Abolaji Banjoko widely called Beejay Sax a Well-known Nigerian Based saxophonist, is here again with the 2019 edition of his concert tagged ‘Beejay Sax Live’. This time, the event will feature popular artiste the likes of Big Bolaji, Mercy Chinwo, Eben, Tim Godfrey and a list of other multi-talented artists. 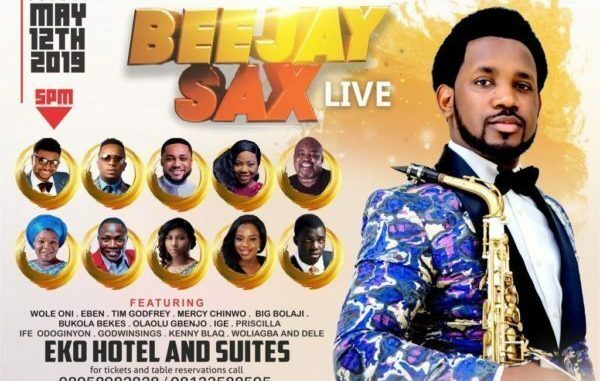 Beejay Sax Live 2019….. Show up and you will be blessed all the way!